Pharmaceutical company Alexion announced Tuesday that it will move its headquarters from New Haven to Boston. Alexion Pharmaceuticals, a company that develops drugs to treat rare diseases, is moving its corporate headquarters from New Haven to Boston by mid-2018 and the state is asking for the company to pay back a $20 million loan and a $6 million grant, plus interest and penalties. Former CEO Leonard Bell founded Alexion in New Haven’s Science Park in 1992, but the company later moved to Cheshire, where it was based for 16 years. In 2012, the company decided to begin building a new facility in New Haven and move its global headquarters from Cheshire back to New Haven. At that time, Alexion became a recipient of Gov. Dannel Malloy’s “First Five” initiative plan for companies to bring 200 jobs or more to the state. Through the First Five program, the state pledged to provide up to $51 million in assistance, a 10-year loan of $20 million at a rate of 1 percent with principal and interest deferred for five years, loan forgiveness of $16 to $20 million based on the creation of 200-300 full-time jobs, a $6 million grant for laboratory construction and equipment and urban and industrial sites reinvestment tax credits of up to $25 million. Alexion made the move from Cheshire to 100 College St. in New Haven in March 2016. 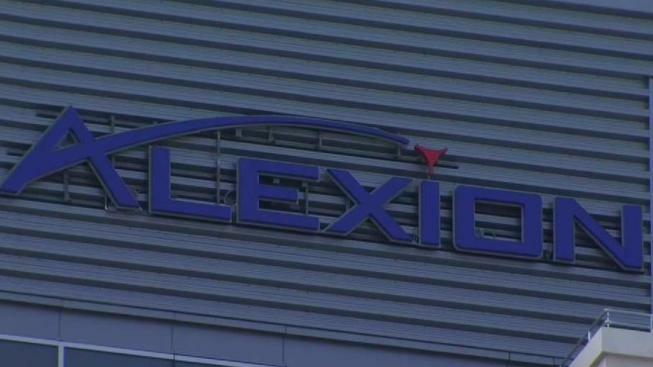 “Alexion’s decision to move its headquarters out of the state is very disappointing, especially in light of how supportive the state has been to the company over the years as it has grown into what it is today. While Alexion will maintain a significant number of employees in state, we are requiring that all of the $20 million loan and $6 million grant be repaid—with interest and penalties—to the department in accordance to the terms of our agreement. Setbacks like this, though unfortunate, do not deter the department from pursuing smart policies and ventures with growing companies in our state,” Catherine Smith, the commissioner of the state Department of Economic and Community Development, said in a statement. This move comes after Alexion laid off 210 employees company-wide in March 2017. The company would not specify at the time how many jobs would be cut from Connecticut. Alexion said New Haven will now be home to the company’s Center of Excellence for its complement research and process development teams. Approximately 450 positions will be based in New Haven, including employees working in the research and process development laboratories, the clinical supply and quality teams, nurse case management and a number of important enterprise business services. A company spokesperson said 840 people work in the College Street building and 450 will work there after the move is complete. Some employees will be relocated. It's not clear how many. “We’re told New Haven, with its top-tier workforce, will retain most of the company’s research operations and that hundreds of Alexion personnel will continue working at 100 College Street,” New Haven Mayor Toni Harp said in a statement. “Beyond that, New Haven will remain a bustling hub of bioscience and other medical research. For example, the new College Street building is perfectly situated near the hospital and the Yale School of Medicine – we expect new tenants there to contribute in this growing sector of the national economy,” Mayor Harp added. The company has been going through some internal turmoil with the layoffs and even deeper corporate restructuring. The news released issued Tuesday morning says the company will reduce its global workforce by 20 percent. The company plans to have around 400 positions in Boston. “Alexion’s 25 year history began in New Haven, and Connecticut remains a critical part of our future. We value our relationship with the state of Connecticut, and our New Haven-based research team is critical to growing and strengthening Alexion’s leadership in complement, which will allow us to fulfill our mission of serving patients and families with rare and ultra-rare diseases,” Hantson said in a statement. Even though Alexion hired more than 800 people in the state when it moved here, the move to Boston comes as a psychological blow to Connecticut, since Boston is the new home of General Electric and Aetna.